As we are preparing to bid farewell to all of our winter time migrants, I took a three day break from work, and went to the Pacific side of the Baja. Conquista Agraria, along the Pacific Ocean, is a beach front area, bordered by arid sandy desert. There is a nice mix of rough, rocky outcrops, along with flat, almost white sandy beach sections. During the winter this area has a couple of pretty nice surf breaks that attracts quite a few surfer dudes and dudettes. 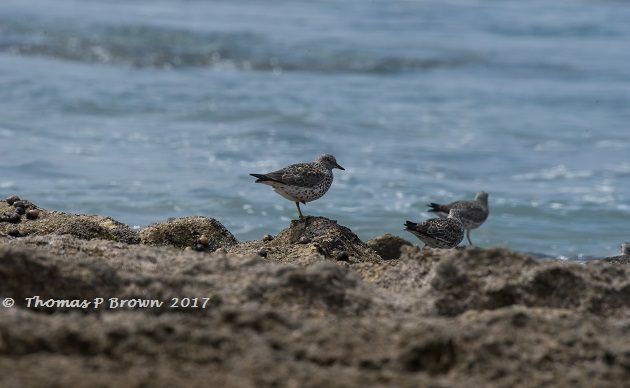 I traveled up and down the beach, then out in to the arroyos for three days and came up with 45 species, a fairly decent number. 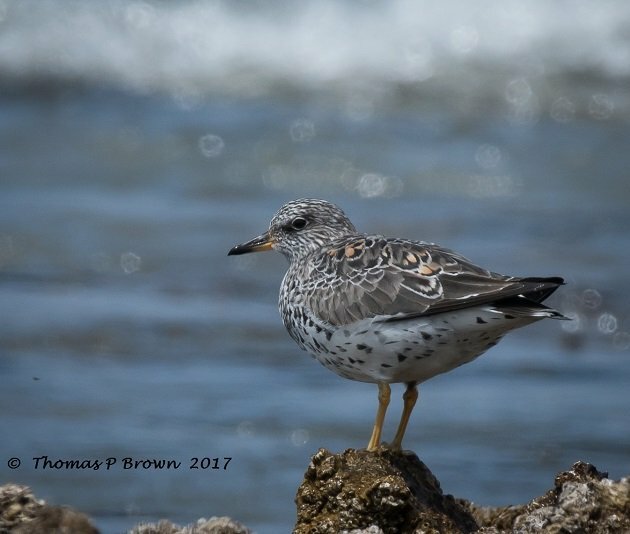 I had targeted three species that I had hoped to spend some time photographing, the Wandering Tattler, Snowy Plover and the Horned Lark. Well, you know what they say, two out of three ain’t bad! I guess the Horned Lark, a bird I had seen nearly every visit to this area, did not get the memo, and was a complete no show. Certainly not for my lack of effort. 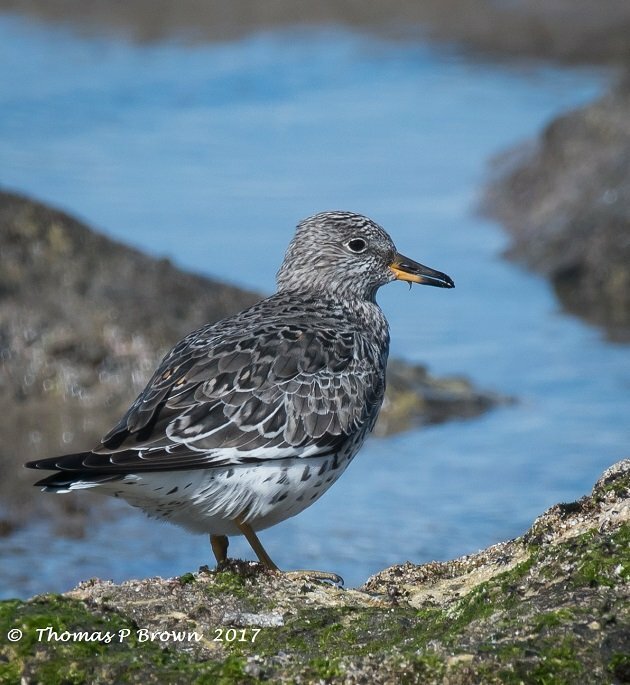 The rocky shoreline was complete with all the usual suspects, Ruddy Turnstones, Sanderlings, Western Sandpipers, Spotted Sandpipers, Black-bellied Plovers, Snowy Plovers, Semi-palmated Plovers, and of course the Wandering Tattlers. 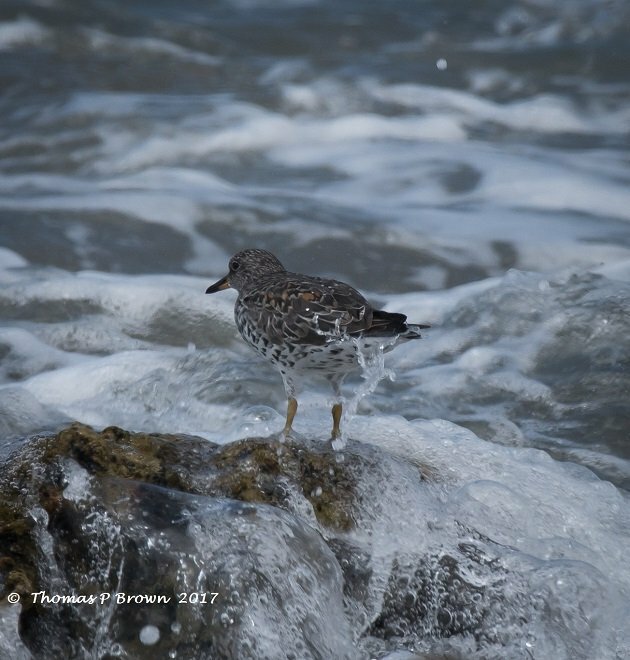 The one bird that I had wanted to highlight here, as it will indeed have moved back to the north and its breeding ground before I am able to get back here, is the Surfbird. This is a very well traveled bird, moving as far south as the southern tip of South America and Terra Del Fuego, and then back to the rocky tundra areas in Alaska and the Yukon to nest. Most of the Surfbirds were just starting to show the rusty gold scapulars of their breeding plumage. 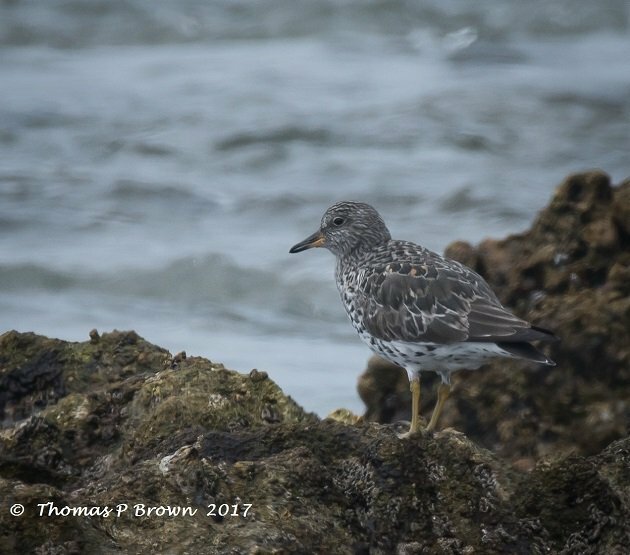 Surfbirds are usually quite easy to identify along the Pacific coast line, as they are the only bird in their size range with bright yellow legs, a short stout two toned bill, and spotted breast. 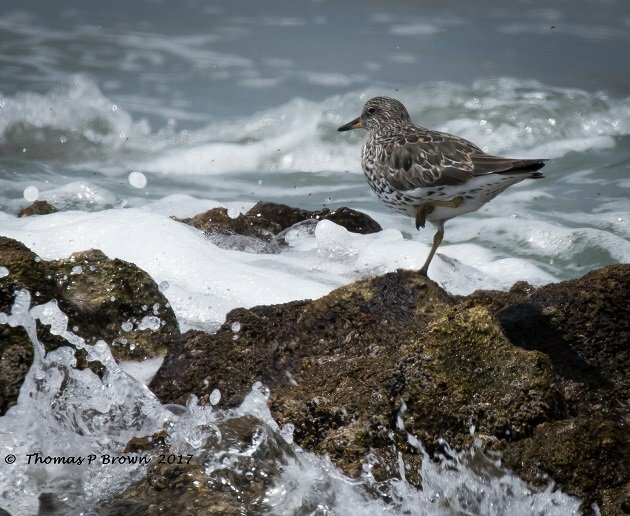 The Wandering Tattler is somewhat similar, especially during the nonbreeding season, as it has the same yellow legs, and mostly unpatterened head and back. 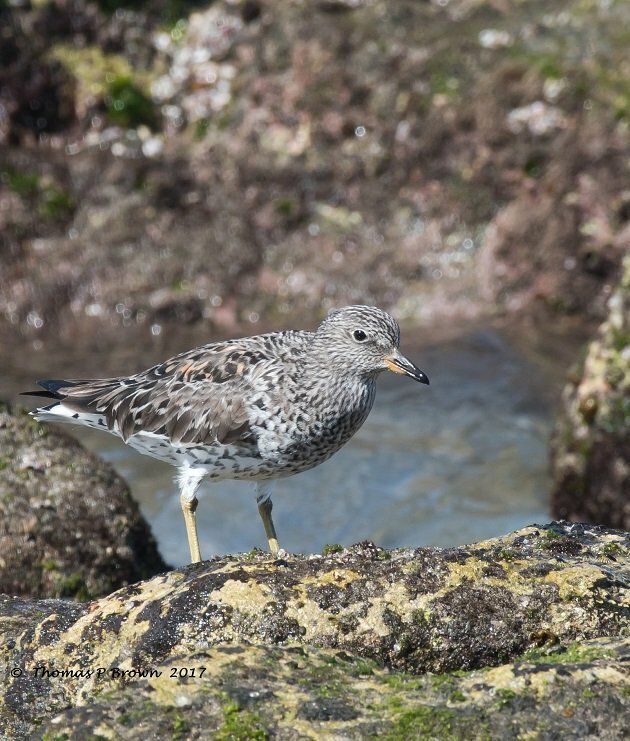 It just does not have the same stocky appearance of the Surfbird, and has a much slimmer neck, and longer bill. It will be at least two weeks now before I can travel back over to Conquista Agraria, and by then the bulk of these birds will have begun their trek back to the north. Safe journeys, make lots of babies, and I will see you back here in Mexico in the fall.